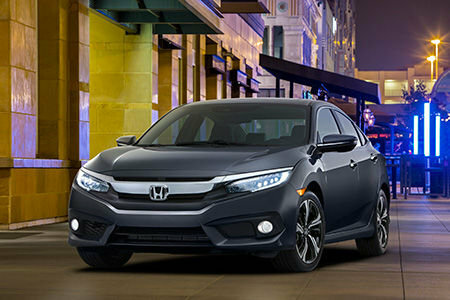 Among other features, the Civic will have a 7-inch touchscreen supporting both CarPlay and Android Auto, the carmaker said. The company didn't elaborate on whether it would enable wireless CarPlay connections, but did note that drivers will need at least an iPhone 5 and iOS 8.4. Honda was an early official partner for CarPlay, but has been slow to launch any vehicles with the technology. Its first vehicle was in fact the 2016 Accord, revealed in July. The biggest CarPlay backer so far has been GM, with models across several brands such as Cadillac and Chevrolet. The first-ever vehicle with CarPlay support was the Ferrari FF, released in 2014. Dozens of brands have pledged support for the standard though, such as Dodge, Ford, Fiat, Hyundai, BMW, and Volkswagen. CarPlay connects an iPhone to a native or aftermarket dash display and provides a simplified app interface. Outside of Apple's Phone, Music, Messages, Maps, and Podcasts apps, however, only a handful of titles are compatible, such as Audible, Rdio, Spotify, and Overcast.